Clean and well-maintained Del Prado 3 Bedroom/2.5 Bathroom home with lower level den. The freshly painted interior and tiled entry provides a welcoming environment. Nearby is the open styled living room with vaulted ceilings and the adjoining dining room. It's apparent that the long time owners have maintained the home with TLC. There are raised panel doors, upgraded door trim, and wide based boards throughout. Upstairs are three bedrooms and two full bathrooms. The home is equipped with a dual zone central air conditioning and forced air heating system, an attic fan for cooling, ceiling fans lights, and dual-pane windows. The rear yard includes two patio areas, lawn and garden areas, and an enclosed deck area (that's not included in the home's square footage). 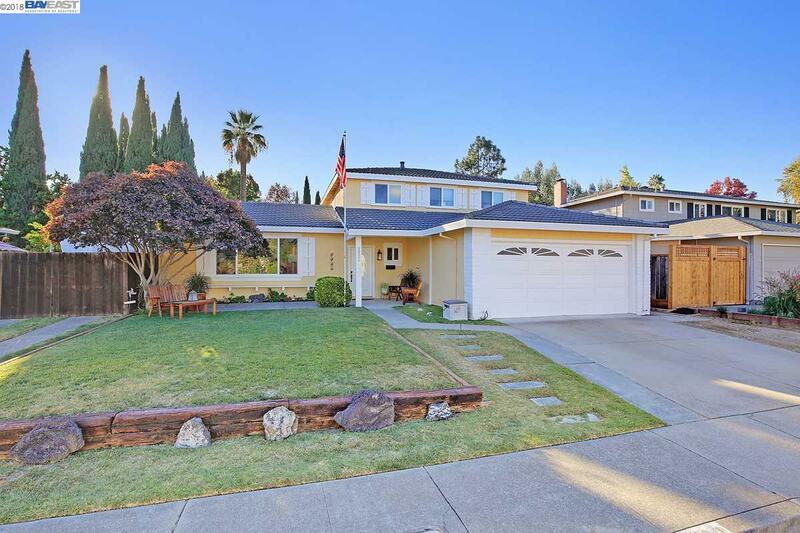 Del Prado is a wonderful neighborhood and provides convenient access to excellent schools, parks, shopping and I-680.